Get Xion [EX+] and KH II Kairi [EX+] within 5 draws! ★ Don't miss this chance to get Xion [EX+] and KH II Kairi [EX+] within 5 draws! Heads up, Xion [EX+] and KH II Kairi [EX+] have returned! Their Special Attacks will overwrite buff and debuff values, and will heal you back up! This Medal Deal guarantees a Tier 5, 7★ Medal per draw! ・The Medal you fused the corresponding Trait Medal into will gain one Special Attack Dot. NOTE: If the Medal you are fusing the Trait Medal into is already strengthened to 5 Special Attack Dots, the Trait Medal will unlock the Special Attack Bonus. Trait Medals can also re-roll Special Attack Bonuses if the Bonus is already unlocked. ・You are guaranteed to receive KH II Kairi [EX+] within 5 draws from the KH II Kairi [EX+] banner! 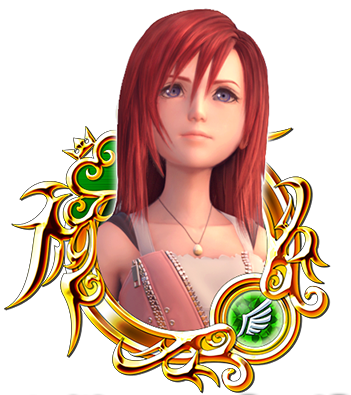 NOTE: Should you receive KH II Kairi [EX+] from the Xion [EX+] banner, it will have no impact on the KH II Kairi [EX+] banner counter. ・You are guaranteed to receive Xion [EX+] within 5 draws from the Xion [EX+] banner! 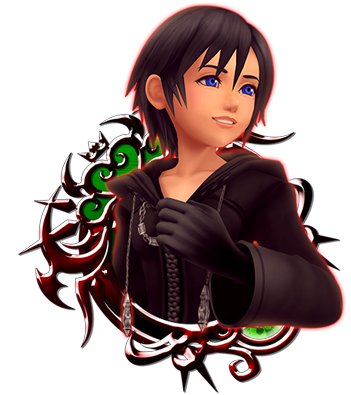 NOTE: Should you receive Xion [EX+] from the KH II Kairi [EX+] banner, it will have no impact on the Xion [EX+] banner counter. ・You’re guaranteed to get a corresponding Trait Medal each time you draw from these Deals! ・You're guaranteed to get a Tier 5, 7★ Medal per draw from these Medal Deals! You also have a chance of getting a Boosted version of the featured Medals! ・Boosted Xion [EX+] and KH II Kairi [EX+]: 1,000 more base Strength and Defense. ★ Special Attack Bonus Challenge! Challenge yourself and see if you can make it through all 6 stages! ・There will be a total of 6 challenging quests where you'll have to build your deck within special attack bonus tier limitations! ・At the end of each stage you'll have to face the wily Trickmaster AND Trickmaster Ω at the same time! ・By completing the challenges for these quests, you can receive rewards including a Magic Mirror, a 6★ Chip Medal, and more! This is a difficult stage, so come prepared for a fight! Good luck, Keyblade Wielders! Well, we knew the 5 mercy pulls for Kairi and Xion + was coming, and here it is, but that Special Attack Bonus Challenge is a joke. The last quest, where you must use Tier 3 medals, is impossible for me. None of my medals, most of them 7*, are doing ZERO damage...no damage to the Trickmaster. Lol. Nice going, SENA, hiding the Chip medal behind a quest I imagine many won't be able to get. Or maybe I'm just dumb and can't really play this game well...Lol. Whatever. Does anyone in Vulpes have the Beagle Boys medal for the Tier 3 level? If so can I try getting you into my party briefly so I can borrow it?